There are many exciting books and graphic novels coming to a movie screen near you this year, but I think most people are excited for Avengers: Infinity War, coming out in April. It’s going to be an epic film that brings together everyone’s favorite Marvel heroes – Spider-Man, Captain America, Thor, Iron Man, Ant-Man, Black Panther, the Guardians of the Galaxy, and so many more. All of the Marvel movies have been building up to this one epic conclusion — some characters may not be coming back in future films. I can’t wait; I already have my tickets! This film is based on the superhero comic series and has an all-star cast including Chris Hemsworth, Scarlett Johansson, Chris Evans, Robert Downey Jr., Chris Pratt, Paul Rudd, Bradley Cooper, Vin Diesel, and Gwyneth Paltrow. The film combines the Avengers from the previous films with Spider-Man and the Guardians of the Galaxy as they try to save humanity once again – this time from supervillain Thanos. The “merc with a mouth” is back in this sequel based on the Marvel comics character. 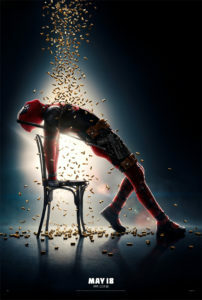 Ryan Reynolds stars as Deadpool with Morena Baccarin and Josh Brolin rounding out the cast. This film is intended for mature audiences. 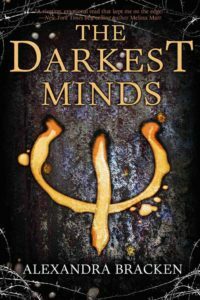 Based on Alexandra Bracken’s young adult novel of the same name, the story follows a child named Ruby who wakes up with special abilities and is sent to rehab for kids like her. Then she escapes and is on the run. The film stars Amandla Stenberg, Mandy Moore, and Gwendoline Christie. The book series continues with two more books (Never Fade and In the Afterlight), with a fourth called The Darkest Legacy expected this August. 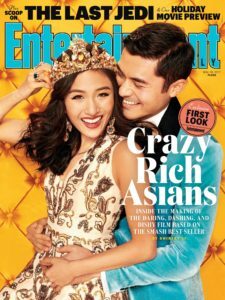 Crazy Rich Asians is based on Kevin Kwan’s book of the same name. The film stars Constance Wu, Ken Jeong, and Michelle Yeoh. The humorous tale involves the dynamics between three Chinese families who are affected when one of their own – an heir to a massive fortune – brings his girlfriend home… And she’s “ABC” (American-born Chinese). The story continues in the books China Rich Girlfriend and Rich People Problems. 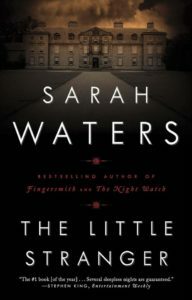 Based on Sarah Waters’ gothic novel, the story takes place in England in the 1940s. A country doctor named Faraday takes on a new patient in a haunted house. Domhnall Gleeson plays Dr. Faraday with Ruth Wilson co-starring.